Melissa Riley serves as the Vice President of Convention Sales and Services at Destination DC, the official convention and tourism corporation for the nation’s capital. She’s a 20 year veteran of the travel and hospitality industries and leads a team of more than 30 who work in concert to generate a positive economic impact for the District. She began her tenure with Destination DC in 2003 and has continued to grow within the organization. Under her stewardship, her team continues to drive new business opportunities into the District for future years and continues to grow the economic development for the District. Fred Diamond: Tell us what you sell today, and tell us what excites you about that. Melissa Riley: It’s interesting because I don’t necessarily sell anything that’s tangible. While hotels and convention centers and restaurants and venues are all part of that package, we more so sell an experience. So we want people to come away from Washington whether you’re here as a visitor or for a meeting or for a convention and take with you those memories. Like I said, I’m from the area so selling Washington DC as an experience is very personal for me, as you can imagine. I am one of the folks that in eighth grade had to do our field trip down here to all the Smithsonian Museums and then as I started to grow up in high school and college, much to my parent’s regret would come down here and party and have a great time. Then now as an adult this is where I live and I work and I breathe the city in day in and day out so it is truly a personal sell for me, and my story is almost the greatest testimonial for why Washington has evolved and become the city that it is today. Fred Diamond: You mentioned that you don’t necessarily sell something tangible, per se. Who does your organization sell to? Who are the customers of the 30 people who report to you? Melissa Riley: We look at the meeting planning community as our biggest clientele so it could be associations, corporations, and it could be any small meeting that’s ten people up to a forty thousand person convention. Our sales team works in a variety of different sales, some are long term experiences, some are very quick-high volume type of sale. It’s a vast and different team that we work with, and so the meeting planning community first and foremost is who my audience is. But then, of course I’m constantly selling to our stake holders, right? Our hotels, the convention center, those that we’re accountable to. I would look at them more so as an internal sales channel which are equally as responsible. Fred Diamond: Very good. Let’s talk about your career for a little bit, how exactly did you first get into sales as a career? Melissa Riley: I went to Virginia Tech – Go Hokies – and I started off in international business, was my major. Let’s just say that math is not my forte, so after a few failed attempts at some math courses, I decided that I better look at a different career path. My father worked in a career where I couldn’t go with him to work, but my best friend, her father worked for the old Vista hotel here in DC, which is now the Weston City Center and I think that experience coupled with that old television show, “Hotel” really kind of set my course in play as to how I got into the hospitality industry, and let’s just say it was destined. In Virginia Tech, part of my graduation requirement was an internship and so the summer of my junior year going into my senior year I did a rotational internship and Westfield’s Marriott, and this internship was in the engineering department and housekeeping and sales. I was a bellman and I worked in valet. While the tips were good as a bellman and as a valet, I soon discovered that sales is really where my heart was within that internship experience. Then after graduation I started working full time with Marriott and stayed with them for the next five years before transitioning to Destination DC, but it’s somewhat ironic because now I travel the world promoting Washington DC to meeting professionals and trying to bring them into the district and bring their meetings and conventions here. Essentially, I am an international business which is interesting despite my inability to do any algebra [Laughs]. Fred Diamond: I have a quick question for you. Not many people know this, but a lot of great hospitality companies are based in this region. Is it all because of Marriott being here or is it because DC is such a huge tourist destination? Do you have any idea why? Hilton moved their corporate headquarters here a couple years ago. Melissa Riley: Correct. I think that there is an amazing ecosystem here, there is a talent base that’s located in this DC metro area that’s unparalleled. You have incredible schools, there’s 21 institutions for higher education in this area so your pool for talent really is vast. I think that coupled with this is association center within the DMV, really lends a lot to having those experts and who your clients are right in your own backyard. Fred Diamond: That’s great. All the meeting planners and Georgetown University I know has a great program, makes a lot of sense. You mentioned your first job was an internship working at a Marriott property and you were a bell person and you worked in engineering and a whole bunch of different things. What are some of the key lessons you took away from some of your first few sales jobs that have stayed with you today? Melissa Riley: I think the thing that resonates the most with me is the culture of an organization, and I think it’s what attracted me to the two companies that I’ve worked for and being in this industry for 20 years and only working for two companies in the state and ages is interesting in its own right, but it really has been a distinct culture in both of those companies that has attracted me and, quite frankly, kept me around. Especially here at Destination DC, there’s a culture here that’s unparalleled. You can’t really describe it or put your finger on it but you know when you walk in the door, and you said it yourself when you started this interview that there’s an energy here, there’s a vibe. We all work very hard but we play very hard and we really do enjoy coming to work. I think a lot of it has to do with we love the product that we have to sell. Selling the District of Columbia is exceptional, to be able to put that on your resume. People are often recruited out of our organization which I take somewhat as a compliment [laughs] but I think once they leave, they realize everything that Destination DC had to offer and the environment that it fostered. The exposure, the creativity, the freedom to voice your opinion and have that opinion respected is something that you don’t find in every organization or every company. While you may be wooed by dollars and sense, I think that you really have to pause and look at the culture of the company that you go to first and foremost. Fred Diamond: Very good. Tell us a little more about yourself, tell us about your specific area of brilliance. While those are true to Washington, you can look at any destination across the US or across the world and, quite frankly, a lot of them will fit that same bill. What we tried to do was look at the research in the area and the ecosystem for specific industries. So we looked at technology, biotech and pharma, and then medical and education and focusing on those and we aligned those four segments with what our city’s economic development agencies are investing in, and as a result of that, we’ve been able to create this exceptional resource within these knowledge hubs, whether they’re influencers or organizations that companies can use to grow their delegate base for a meeting or attract new exhibitors, attract sponsors. Therefore it’s hitting an organization’s bottom line by growing these different segments within their meeting. It took a lot of blood, sweat and tears, a lot of research but the product that we continue to invest in an involve, I’m exceptionally proud of and it’s what our team is now using to differentiate ourselves from our competition. Fred Diamond: We’re located a block or two away from this brand new, beautiful convention center. How does DC rank compared to Chicago, Dallas, Orlando, cities like that? Melissa Riley: It depends on what metrics you’re looking at. In size, we certainly serve the large majority of the clients that we go after. I would say, I think where Washington steps ahead is the technology that our convention center has invested in, we have an incredible digital signage program that has really set us apart. Those are the tangible things, I think the service that our convention center delivers is really what sets us apart from everybody else. We just had one of our event managers, was designated as the event manager of the year from an industry organization so it’s the investment in the personnel that’s going to create that experience for you that really is a big game changer for us. Fred Diamond: Take us back to an impactful sales career mentor and tell us a little bit about how they impacted your career. Melissa Riley: I think mentors are incredibly important in the entire life span of a career, whether you’re just starting out or whether you’ve been in it for 20 years or plus but my very first sales job ever was a summer gig that I had in college working for Lang Homes, they were a home builder developer. It’s interesting, I look back on that job fondly because we were selling at that point in time six town homes that were four stories each, and part of my job responsibility every day was when I first got in, I had to turn on every light in every individual town home and then at the end of the day I had to turn off every light in every individual town home. Needless to say, there was no need for a gym membership at that point in time, but Nancy Neely hired me into that company and that new home sales project as her assistant and she really taught me all about sales. Obviously, this was not meant to be my career path but Nancy taught me the basics of selling so much so that she actually let me do a few sales transactions on my own, again, which is interesting in that you’re buying a house which is likely somebody’s largest investment and here you have some teenager trying to sell it to you. But what Nancy gave me was confidence, and she gave me a chance so I obviously look back on that and we actually kept in touch quite a bit until very recently and this podcast has reminded me that I need to try and find her and reach out and say thank you. I think mentorship doesn’t always take on that formal box, I’ve had mentors in my past that have been bosses, some have been peers, some have been people that have worked for me that have taught me a very different and sometimes hard lessons. Again, I don’t think mentorship necessarily needs to be in formal terms, but they evolve as you go throughout your career and then of course, I would be remiss if I didn’t bring up my father who is obviously my biggest champion but also my best sounding board as well. Fred Diamond: Very good. Curiously, you have about 30 somewhat people who are reporting to you and a number of people had recommended you as a sales leader to have on the podcast. Do people reach out to you for mentorship as well? Do you find that? Melissa Riley: Sure, absolutely. I do my best to volunteer as well in the formal sense, I’m quite active with PCMA – Professional Convention Management Association – which is one of our industry leading organizations and they do a formal mentorship project every year as you approach our annual meeting because there’s nothing more intimidating than walking into a room of 3000 strangers. I feel that especially in those types of settings, mentorship and just helping people make connections is very important. But I would like to think that even members of my own team consider me their mentor, but you’d have to ask them that question [laughs]. Fred Diamond: What are two of the biggest challenges that you face today as a sales leader? Melissa Riley: I think first and foremost, finding, retaining and motivating my team is a challenge. With a team of 30, I have 4 direct reports so there’s a layer in there but I am obviously responsible for the whole team and they are what gets me out of bed. Their satisfaction and their job, their doing a good job, their elevating their own career is really important to me. But what makes one tick doesn’t necessarily makes the other tick, so finding out what motivates your team is very important to me and I actually had a little bit of an interesting lesson recently from somebody that left our organization and had some very candid feedback for me. As a result of that, like I said, there’s a layer in there so not every one of them are direct reports so I don’t necessarily have one on one engagement on a daily basis. But I did 32 one on one sessions with the whole team which was obviously time consuming, but I probably got more out of that than anybody else did, and it was just the pause and a reminder that you really need to understand your team and know what makes them tick and what gets them out of bed. Like I said, I have transitioned some of the way that I engage with certain individuals, the way I reward, the way that you acknowledge. Some are motivated financially, some want public recognition, some hate public recognition, so having that little mental file folder is important, I think, as a team leader and so that’s certainly a challenge, but something that keeps me on my toes. Second to that is the overall evolution of our industry, which again is a challenge, it’s not a negative but it’s something that I might have a few sleepless nights over. Hotel chains are merging now, we have increased competition from cities that we never would have in the past. Technology is playing such a large role in our industry more so now than it ever has and that landscape and the evolution of that landscape, we need to make sure that we’re evolving at the same pace if not faster so that we don’t make ourselves redundant. There is a thrill in that, in trying to keep up and trying to be a step ahead of everybody else so again, while it’s a challenge, it’s something that I look forward to because I enjoy that. I think as a result of those, making sure that our teams are educated enough so that they can be the messenger in that evolution is important as well. Fred Diamond: Very good. You mentioned competition, a number of the Sales Game Changers that we interviewed consider themselves to be competitive. Do you find yourself to be a competitive person? Melissa Riley: [Laughs] yes, definitely. In my personal life I’m certainly competitive in different ways but I think as natural born sales people we’re all competitive to a certain degree, absolutely. Fred Diamond: Curiously, with Destination DC, how does that work? You mentioned there are some other cities that are now in the mix. Do you compete with the New York’s, the Dallas’s, the Chicago’s or now do you also include the Virginia Beaches and second tier, third tier cities? Melissa Riley: It’s very interesting in the transition that we’ve seen in our competitive set, it has traditionally been East Coast focused because that is where the life cycle typically of a mini to a large city wide would look at East Coast, central West Coast. But you see second, third tier cities that are now emerging that have support of their states, that have support recognizing that hospitality truly is a revenue generator for a city or a state. You look at the jobs creation that hospitality brings, you look at the amount of taxes that are offset as a result of hospitality and I think cities are recognizing that more so than ever and jumping on that bandwagon and therefor investing in hospitality growing their convention centers, investing in new hotel product. We certainly have seen our competitive landscape change from what is traditional to cities that we had never thought of before and on a world-wide scale as well. Within North America, our Canadian destinations to our North certainly are cities that we keep a very keen eye on. Fred Diamond: Very good. Melissa Riley, take us back to a specific sale success or win from your career that you’re most proud of. Melissa Riley: First of all, I love this question. They wrote a myriad of reasons. Fast forward to 2010, within that 7 year time frame I consistently kept in touch. It was relationship building, it wasn’t always selling a particular interest or product or experience. It was just saying hi to the customer because, it was remembering the birthdays, it was remembering the anniversaries, it was bringing them to great new things that the city was launching and it really was. I formed some incredible relationships as a result of this account but then fast forward to 2010, and all of that hard work and tenacity payed off because when their RFP came out we were actually awarded the show for 2014 and since then they have returned in 17 and will be coming back in future years. Fred Diamond: Yeah. Actually, that particular customer coming back two or three times has probably been worth – I don’t know if it’s been millions – but at least hundreds of thousands. Melissa Riley: Yes, millions it has been. Fred Diamond: Millions, wow! Good for you. Melissa, you’ve had a great career in sales. You’ve gone over some of the great successes that you’ve had and some of the observations, but you didn’t start in sales. But did you ever question being in sales? Was there ever a moment where you thought to yourself, “It’s just too hard, it’s just not for me”? Melissa Riley: I can honestly say no. I never thought about not being in sales, other than when I was bringing in tips as a bellman during my internship. I can honestly say that I do love my job and I enjoy coming to work let’s say 95% of the time, I’ll give myself a 5% grace in there [laughs] but I recently actually last year had one of the toughest years in my career for a variety of reasons. What I learned through that experience was invaluable to me, for the organization and for my own personal growth. During that exceptionally tough year and then what came as a result of trying to justify why we had such a tough year never once during that point did I think about leaving. In fact, I think it has certainly made me tougher and better for it today as a result of that. The thing is that sales is not hard, right? It’s building trust and relationship and knowledge and sharing that, and some of my best relationships both personal and professional have come as a result of my career path and for that I wouldn’t change it for the world. It’s interesting, because as you try and explain what you do to family and to friends, they see you travelling the world and they see you eating in great restaurants, what they don’t see is the hard work and the stress that comes behind that but they all are exceptionally jealous of what I do and the experiences that I’m afforded as a result of my job. So no, the thought has never crossed my mind to leave [laughs]. Fred Diamond: Melissa, what’s the most important thing you want to get across to junior selling professionals to help them improve their career? Melissa Riley: I think there are two things that are really important for me. The first is to get involved. I think volunteerism is so important within your industry association, whatever industry it should be, but volunteering your time can have incredible rewards for your professional development and your personal satisfaction. I mentioned PCMA earlier and very early on in my career I volunteered my time with the local chapter and I think what I gained from that made me so much richer and so much more experienced as a result. So I think that volunteering in whatever your industry should be and whatever those industry associations will have rewards not just for you personally but for your organization and then ultimately for the mission of whatever that industry association should be. I think secondary to that is something that’s a little bit more personal for me. 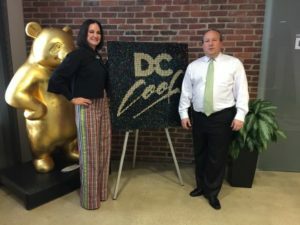 I think overall as a society we’ve become very casual, we’re casual in the way we speak to each other, social media has certainly played a part in that, we all work in these incredible, casual work environments and I think that Destination DC offices are a testament to that, which is great because you want people to be comfortable. You want them to enjoy themselves, but you know the old adage, “Dress for the job that you want, not the job that you have”? A fun little story, when I got my summer internship with Marriott that I had mentioned earlier, my mother took me to a store called Frugal Fannies, which for anybody that knows me knows that I would never now in a million years shop in a place called Frugal Fannies. But she invested in me not just financially, but more so she knew the importance and she invested in me in that brand and when I went to work for Westfield’s, the general manager there at the time was a gentleman by the name of Kurt Crowess who was also a Virginia Tech grad so he was a little biased, but to have the general manager notice the professionalism of an intern and the way that I presented myself certainly resonated with him. I don’t think that would have happened if I didn’t have that presence, so Kurt certainly took me under his wing and showed me the ropes and got me very involved within Marriott, and for that I’m forever grateful. So I urge those in the workforce to think about those two things, and while dressing might seem a little bit surface, trust me, it’ll impact you definitely for the better in the end. Fred Diamond: What are some of the things, Melissa Riley, you continue to do to sharpen your saw and stay fresh? There isn’t a day that goes by that I don’t pull an article or a snippet of information off the web somewhere and email it to somebody on the team. I think reading everything can certainly lend itself to your knowledge base and just make you so much more intelligent when it comes to speaking to your customers and what’s important to them, because you never know, you could be reading a gossip magazine and find something that resonates to an association that you’re trying to woo to come to the city. I also look for inspiration in non-hospitality industries, and I think this is important, too. We tend to get a little myopic and keep our heads down and only focus on my particular hospitality industry but I think looking outside your own industry can inspire you to find out how other companies are differentiating themselves from their competition. Find out how they’re positioning themselves in the marketplace. You look at automotive commercials and I think they’re a great testament to that and then I also really enjoy attending conferences that lend themselves to inspiration like C2 in Montreal will be attending for the first time this year and I think it’s just such a creative force that my plan is to walk away with ways that we can reinvent how we engage with customers and how we can produce events that are resonate and memorable for our teams. I think lastly is relying on your peer set, the hospitality is really interesting in that we tend to compete against each other, obviously for business but when we’re not directly competing against each other, we’re very good friends and we rely on each other a lot on how to do our day to day jobs. It could be something very small and tactical that I could email Philadelphia and ask them how they do things, and we’re all willing to share so while I compete against my peers, I also find some of my best insights from them as well. Melissa Riley: I think evolution is the key and you’ve heard me mention this quite a few times throughout this morning but you have to evolve your teams and you have to stay relevant. This knowledge hub campaign that I had mentioned earlier, our asset intelligence project, that really has been my project and I think this is going to evolve Destination sales as a whole and how we take Destination sales to another level and I’m quite proud to be on the cutting edge of this philosophy. 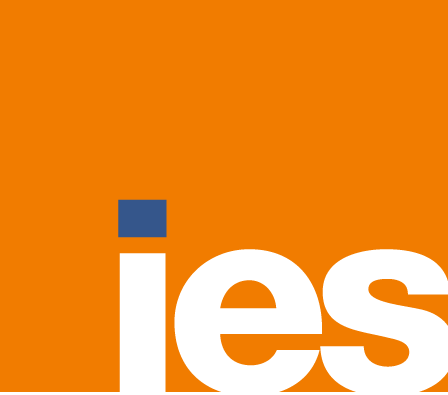 Another thing that we’ve been very successful in over the past year is lobbying for two new high impact positions on our team: business development and a convention strategist. These are positions that we haven’t had in the past but certainly have lent not just in terms of bringing new business to the city which we have been successful in as a result of these new positions, but it’s really up to the perception from our stake holders about how we’re doing business, and this evolution and the investment in these new positions really has set us in a great position and how we engage with our stake holders. Fred Diamond: Very good. Is there anything else you want to say about the asset intelligence program? It sounds quite fascinating. Melissa Riley: Yeah! It really is, and it’s very interesting because you could have at any given year gastroenterologists, you could have hardware store owners, you could have a group that is dedicated to Japanese anime fandom. You have a myriad of different industries that come through that building and it’s so interesting as you walk the show floor and you see how each industry is different in its own right and working in the assets intelligence project and learning who these influencers are in our area that are tied to those industries has been extremely rewarding. We engage with NIH, some of the most brilliant minds within the medical field sit just up the street at the National Institutes of Health and listening to these masterminds talk about the medical field and how it’s evolved, while it’s not my specialty – certainly not – it has opened my eyes to these aren’t just transactional groups that are coming through the convention center at any given time. There’s amazing things that are happening in terms of advancing cancer research or fandom or just having a kid meet their favorite super hero [laughs]. It really has been – well, I said it’s been a passion, it’s been a lot of hard work, it’s been extremely rewarding. Fred Diamond: So Melissa Riley, sales is hard although you did say before that sales is not hard. People don’t return your calls or your emails. Why have you continued? What is it about sales as a career that has kept you going? Melissa Riley: I think you hit the nail over the head. It’s not hard, it’s relationship building. The foundation of sales is pretty easy, but it’s not meant for everybody, that’s for sure and if it’s not your forte then you’ll probably struggle with it. Essentially, you’re matching the best product with the best user, you can boil it down to as simple as that. But as I mentioned earlier, it shouldn’t be transactional, if it is, you’re doing something wrong and even those folks on my team that work with very high volume, like a large number of accounts, you still have that ability to make a connection. At the end of the day, sales is about relationships and I think some of my best days in the office are when you have a bid that you’ve been working on for some time, years, and that signature finally comes through on the dotted line, there’s nothing more exceptional than ringing that bell and all celebrating together. I say sales isn’t hard and I think some of that stems from the fact that I do love what I do and I sell a city that I absolutely love, and I was recently on a sales mission. I was attending a conference in Barcelona, Spain, and my colleague and I were sitting at an outdoor cafe for dinner and we struck up a conversation with the couple that were sitting next to us. They were from Scotland, and come to find out, they’re coming to Washington in February. Since then, Jacqueline from Scotland and I have become best friends via email, I’ve sent her tickets to things that she needs to do and see in the city, offered her my best suggestions on restaurants because that’s one of my favorite things to do, is try all the new great restaurants in the city. This isn’t my core job responsibility but at the end of the day, it’s my job to be an ambassador for the city, so whether it’s wooing 40000 people for a large conference coming to the center or making sure that Jacqueline and her husband have an incredible experience and make some great memories here in Washington DC, that’s my job and that’s why I love sales. Fred Diamond: I’m going to ask you one question about DC. Everybody knows the Smithsonian and the institutes, we love going to the National Gallery, we go there all the time, of course there’s great restaurants like I just mentioned, there’s great scenery. Tell us one or two secrets about DC. Fred Diamond: Yeah, something we might not know that makes it such a wonderful destination. Melissa Riley: [Laughs] the hidden gems. Fred Diamond: Yeah, the hidden gems. Something that may not be apparent. Melissa Riley: Right. I think that some of the things that get me so excited are the new products that are coming in to the city. We have had our international spy museum, has been in the city, you said secrets and that’s what triggered. The spy museum for me. But the spy museum has existed in its current location for years now and they have invested in a new building that is currently under construction in the Wharf area which is an amazing new waterfront destination in its own right. Fred Diamond: That is a great point, for the people listening on today’s Sales Game Changers podcast, who may not be totally familiar with Washington DC and Northern Virginia across the border, it is definitely – the exception maybe New York – one of the best cities in the country, if not the best, to just get lost in. The metro system here is tremendous, it really is, you can take a metro almost anywhere, get off and then start walking, and you’re walking and then you look to your right and there’s the embassy of Colombia, and then you look to your left and there’s the National Museum of Religion, it’s called? Melissa Riley: Museum of the Bible. Fred Diamond: Museum of the Bible. And then the next thing you know, there’s the Wharf and the next thing you know there’s world-class restaurants and all these great emerging things and great parks, all around the city there’s tremendous parks, Thomas Circle, DuPont Circle, of course, where you can just hang out and of course, there’s the White House and there’s the Lincoln Memorial. You have a great product to sell, good for you. Melissa Riley: I do. I used to have this group of girlfriends and once a month we would go to a different restaurant which isn’t necessarily different from what other groups of friends do, but every month we would try a different ethnic food, and I think we probably hit about a year and a half before we were like, “Oh, OK, do we want to do Ethiopian again?” I think the diversity of Washington DC lends itself to really exceptional experiences. You can head up 9th street to the corner of 9th and Florida Avenue, and the choices in Ethiopian cuisine are vast, I think that’s what makes DC so different is you can experience different cultures and different ethnicities right from one block to another. Fred Diamond: You’re doing a great job selling DC as a destination. Fred Diamond: Why don’t you bring it on home? Again, we talked today with Melissa Riley, she’s the VP of convention, sales and services at Destination DC. Melissa, give us a final thought to inspire the Sales Game Changers listening to today’s podcast. Melissa Riley: I hope that I have relayed on through this Q and A that what’s most important is you really have to have fun. Work hard but play hard. We all spend more time at work than we do sometimes at home with our families. I travel quite a bit for my job and so I’m away from my home quite a bit so if you’re going to be gone that long and investing this much time at work, you might as well enjoy it. And again, that old adage you find a job that you love and you never work another day in your life, I find that very true because it then becomes a passion and something that you really enjoy doing, it’s not a job. I think second to that is take advantage of all that your organization offers. If there are educational opportunities, do it. If there’s a chance to try something new, it might scare you, it might intimidate you, but do it because that’s going to make you better and it’s going to make you step out of your box and evolve a little bit quicker.